Imagine the following scenario: you have your iPad browser open, you are logged into Facebook, Twitter, Gmail, and a bunch of other online services, and then someone asks to borrow your tablet. Later, you get your iPad back only to discover that you have been logged off. Frustrating, isn't it? Well, the Skyfire browser for iPad wants to put an end to this issue with its HotSwap feature. With HotSwap, up to four users can save their browser preferences so that the next time they surf the web, they will be logged in to their favorite online services, and at the same time, they won't have to sign anyone out. Furthermore, each user can save their own bookmarks and gets their browsing history stored separately. Interested in Skyfire? Then check out the full press release below, or hit the source link and grab it from the App Store. The iPad version of the app is priced at $4.99. MOUNTAIN VIEW, Calif. – (March 15, 2012) –Tired of sharing your iPad and finding your Facebook, twitter, Gmail, and other accounts logged out? Today Skyfire, creator of the blockbuster mobile browser with over 13 million downloads to date, is introducing a solution that will ease your tablet sharing pain. Skyfire HotSwapTM is a new breed of mobile browser that allows for up to four users to save and preset their browsing preferences for seamless profile swapping across the full web. Skyfire’s mobile browser – the Apple App Store’s #1 paid iPad Utility of 2011 – is now also the iPad’s most family-friendly web browser. Skyfire HotSwap is integrated into Skyfire’s award-winning mobile browser for the iPad and aims to solve one of the biggest drawbacks of a family device like the iPad: a lack of user accounts to facilitate sharing between friends and family. Skyfire HotSwap allows each person to set up a separate account within the mobile browser, eliminating the tedious log out, log in and set-up process for each of your favorite sites every time the iPad changes hands. With HotSwap, family and friends can share an iPad and swap to their own personal profile, with easy access to browsing preferences and social settings for up to four separate users. Bookmarks, history, open tabs, social network logins like Facebook and Twitter, email accounts like Gmail, Amazon accounts, and settings reappear just as they left them. Simply leave the iPad on the coffee table for the next user to swap to their personal profile. Since launching in December 2010, the Skyfire web browser has been a runaway hit, with 13 million downloads across iOS and Android. According to the Apple App Store, the app was the #1 paid utility app for the iPad in 2011. The Skyfire iPad app continues to be one of the most popular apps worldwide, garnering critical acclaim and numerous awards. For users of Skyfire’s mobile apps, Skyfire’s cloud video optimization service not only translates Flash video to an iOS-friendly format, but also saves data subscribers an average of 75 percent on data use while streaming video, allowing users to watch up to four times more video. In a world with increasingly limited data plans, Skyfire can not only make video easier to watch on crowded cell towers, but also save users hundreds of dollars over the life of their mobile device, while on the go. 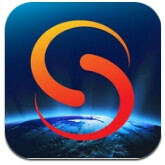 Skyfire’s web browser with HotSwapTM is now available for download in the iTunes App Store. The update is free for all preexisting Skyfire for iPad users. Got mine already bought and ready for some serious use!